What seems like a long time ago, I teased everyone in the newsletter that I was going to have an interview with Esther Hansen, RDN, about the keto diet. Well, it’s been awhile since I stated that, so I apologize. In any event, I chatted with Esther on the phone about the keto diet, and I must say that I learned A LOT about this way of eating. Since this interview, I have done some more research about keto, and I have to say that I am swayed by the science of it all. 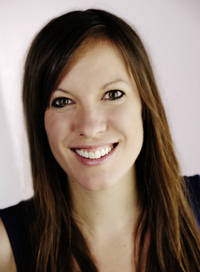 Esther is a registered dietitian nutritionist here in Fort Collins. Esther and I have been working together for seven years. She is very knowledgable about nutrition, and I appreciate her approach with helping her clients. Below is my interview with her. What is a high fat/low carb (HFLC) diet? It is a variation of a ketogenic diet. HFLC teaches your body to burn dietary fat and stored body fat for fuel. It is a starvation adaptation without actually starving from low caloric intake. Your body converts carbs and proteins into glucose for energy and converts fat into ketones for energy. Nutritional ketosis means you are in fat burning mode and have measurable ketones circulating in your body. Mounting research shows the neuroprotective benefits of ketosis as well as countless other benefits. So the ketones are to fat like what glucose is to carbs? Exactly. Your body burns ketones like glucose. The body prefers to burn carbs because it’s easier, because our bodies are lazy, or perhaps, conservative. Outside of burning fat and ketones being neuroprotective, are there any other benefits to doing this? Absolutely! The best-documented benefit is for seizure control. A ketogenic diet is the oldest therapy for seizure disorders. I put anyone with any cognitive issues like dementia, Alzheimer’s, and Parkinson’s, on a keto diet. The outcomes of doing this have been phenomenal. Currently, keto is popular for weight loss. It is connected with insulin resistance; Type 1, Type 2 and pre-diabetes; and can balance hormones in conditions such as Polycystic Ovarian Syndrome (a female hormone manifestation of insulin resistance, similar to Type 2 diabetes). I’ve seen a lot of non-alcoholic fatty liver disease recently. This is complicated to treat because people can’t have sugar or excess meat making keto an ideal prescription. How are you approaching those people that don’t have diabetes or any other type of metabolic disorder? That’s a good question. I have been a fan of a low carb approach and eating only the highest quality carbs for my entire career. I am also a fan of the keto diet. That being said, keto is not a one-size-fits-all approach appropriate for everyone at all times. I assess where clients are at. First and foremost, we work together to wean off sugar and then assess their total carb consumption. I ease people into a low-carb regimen until they get the results desired. Some clients transition to full keto at less than 20 grams of carbs per day. Some do well with a moderately low carb diet of 50-75 grams per day. Some, often athletes, thrive on a higher carb diet. When you jump from a high carb diet to keto, you experience the shocking side effects of keto flu. It’s tough on the body to transition so abruptly – not a wise move. You have to ease into it. Also, be cautious if you don’t have a gallbladder or have trouble breaking down fat. You may need to support the liver and gallbladder with specific digestive enzymes. I don’t like keto for children (under 18) except as a therapeutic anti-seizure diet. It is also not for anyone with an eating disorder (current or history). And I don’t recommend keto for pregnant women because we don’t yet know how ketosis affects the fetus. I don’t recommend starting a keto diet when you are pregnant. If someone is already in ketosis going into pregnancy or doing it for a medical reason, I think they can be monitored, but generally I suggest increased carbs for pregnancy. Those are the only cautions I recommend before embarking on a keto diet. So is this something that is sustainable for a long period of time? Let’s say that someone is morbidly obese and they start doing this and they are losing weight. Is this something they should only continue for a while or can they do this in perpetuity? That’s a good question. I don’t know yet, but my best guess based upon what I see with my clients is “no.” At some point my clients “bonk,” for lack of a better word. They don’t have the energy for the activities of daily living. It happens when they don’t have any more stored body fat and I end up increasing their calories (and often their carbs) to ease them out of keto. If keto is the primary method of preventing seizures, it is a forever diet, unless they choose to control their condition via medication instead of diet. Keto is attractive to dieters because the effects are perceived to be quick and effective. Dieters don’t realize, though, that it can be quick to get into keto, but it can be slow to transition out via “reverse dieting” which can take months to get back to a reasonable carb level. Let’s say someone is at 20 grams of carbs per day. They would back out five grams at a time, from 20 to 25 grams of carbs per day. They would hang out there for a week and as long as they don’t gain weight, then they would increase to 30 grams of carbs per day. I teach people to choose the highest quality, unprocessed carbs. I do like this HFLC permutation of keto because fat tastes good, helps quell cravings and satiate, and boosts brain function. It is brilliant to end the fat phobia; not to mention the ecological benefits of lower meat consumption. I get this question a lot, and I can never answer it. I haven’t really looked into it. What are the differences between a keto diet or what’s called a paleo diet? Paleo is high protein, moderate fat and low carb. Keto is high fat, moderate protein and low carb. The key is to remember that protein and carbs turn into glucose and fat turns into ketones. The take-home message: if you eat too much protein, you’re not going to be in ketosis because that protein converts to glucose and kicks you out of ketosis. Everyone in the keto community agrees on low carb. Some believe that as long as you are low carb, the fat and the protein don’t matter as long as you are in ketosis. Others, called butter chuggers, focus on high fat. They think the fat is the key. But macros are going to be individualized for each person. Wow, that just cleared it up for me. So what about the Atkins Diet? How does that play into this? It’s a low-carb diet. You can attain nutritional ketosis in Atkins, just as you can with Paleo—low calorie, low carb, prolonged fasting. There are lots of ways to get into ketosis because it’s a starvation adaptation. For therapeutic ketosis where you have a lot of ketone bodies circulating in the blood, it enables you to stay in ketosis 24/7. You will protect the metabolism. It’s got to be low carb, moderate protein and higher fat. If you’re doing Atkins and you’re eating a steak the size of your torso every day, you might not be in ketosis because the excess protein converts to sugar. I have a few current clients and some former clients that are doing or have done this high fat/low carb diet. They have indicated to me that the first 2-3 weeks are miserable when you are getting into ketosis. Is this really a thing? As I mentioned earlier, it’s called the keto flu. It takes your body about two weeks to transition from burning carbs as its primary fuel to burning fat as its primary fuel. This is what I was describing earlier when people recklessly drop from consuming 350 grams of carbs a day to 20 grams per day. The more severe the drop in carbs, the rougher it’s going to be. I think it’s much wiser and it’s easier on the body to ease into it. Back your carbs down for a number of weeks to give your body a chance to adapt. Then it’s not so rough. But, yeah, it’s going to be rough for a couple weeks as the body adapts. It is tough to think and move. The body is detoxing, you can be dehydrated, you can get leg cramps and people get diarrhea if they consume too high protein and not enough fat, or constipated with too low fiber. I think that was the PURE study. I can never remember the name, but it was phenomenal. There was an almost 50% higher risk of cardiovascular disease with the low fat/high carb crowd than with the high fat/low carb. It was an epic fight between the American Heart Association and the Ornish (Dr. Dean Ornish) clingers with the keto crowd. The bottom line: fat doesn’t cause heart disease. Inflammation from carbs and sugar from processed foods does. Now that I say that, it’s not that simple. It’s a big fear for people considering keto. We shouldn’t be afraid of saturated fat, but it’s never been that simple. It’s not just high or low fat but quality and how well your liver breaks down fat. I do think it’s safe to say for people to not fear fat. Don’t fear whole, real foods with naturally occurring fat, even saturated fat. We should be afraid of manmade, processed carbs that are pro-inflammatory and the cause of most disease. This leads into a rabbit hole of cholesterol, which we don’t have time for. The take-home message: don’t fear fat if it’s real, whole, unprocessed, good quality fat. I have watched a few documentaries on Netflix lately about nutrition. The first one I watched was “The Magic Pill.” It was about this guy living a high fat/low carb lifestyle and advocating for it by saying it helps protect against these metabolic disorders that you talked about earlier. It also had a story about a kid with a neurological disorder where he wouldn’t speak, but when he went on a keto diet, the changes in him were amazing. I then watched “Food Choices” where another guy was advocating a plant-based lifestyle and pontificating about the evils of eating meat. I was thinking about how the everyday person is always getting conflicting messages. What do you think about these documentaries? Our culture, including the scientific community, is crazy about dieting. The whole title of that documentary, “The Magic Pill,” sums up how we look at food—as if it has magical powers to harm or to heal. Over the long term, yes, it does, and it’s just food. We have to realize that people are genetically diverse and have to figure out what works for each individual. I am really clear with my patients that even though I agree with the idea of a keto diet, I do not follow keto personally. My body does not break down fat. When I have a high fat diet, my liver and gallbladder mutiny against me. So I am paleo all the way. That’s what works for me. There’s no one-size-fits-all. I think there are certain things that we can agree on. We can agree on eating whole, real foods and listening to your body and listening to your stage in life. I teach people to use the “anthropological voice” with nutrition – to take in information, test it on yourself, and then see what works for you. Some people do better with more of a half vegan, half keto plan called Pegan. I actually really love this idea of a Pegan diet—a little bit of meat, a lot of veggies and a little bit of fat. It’s seems balanced. People need to find balance. The one diet I don’t agree with, hands down, is a strict vegan diet. I think it’s dangerous. We are omnivores, and long-term vegan diet is dangerous. Short term it is safe and it makes everybody feel good because vegetables detox you. Fat and protein nourish us, so being in detox mode 24/7 has huge health and neurological implications. I’m really upfront with people about my beliefs on the matter. Even though I understand why they do it and honor their choice, I don’t think that it’s healthy. That’s why I’m 100% opposed to a strictly vegan diet. So this is another area where people get confused. You are saying that a vegan diet is dangerous long term, and there are other registered dietitians advocating for a vegan diet. Yeah, vegans are the biggest nutrition evangelists due to the added environmental and value implications. People are confused because there is compelling research on all sides. If people would understand this concept that vegetables detox and animal protein and fat nourish, that there is a time and place for all, it would clear up confusion. Getting back to genetics, for me personally, I would say I almost follow a paleo diet. I had my blood work done last December, and my numbers were really good. My total cholesterol was something like 185, my HDL cholesterol was 10 points over the recommended level and my triglycerides were something like 85 when they needed to be lower than 150. I don’t avoid fat. I eat a lot of fruits and veggies, but I also don’t avoid, you know, cutting off the fat on meat. I eat eggs all the time. I also eat potato chips every once in awhile, or I’ll have some ice cream. And, as you and my clients know, I love craft beer. So there are some inflammatory foods there, but my numbers look really good. Nice work! People are seeking a one-size-fits all, quick fix but we are genetically diverse and need to do the work of listening to what works for our bodies, to prepare food at home and move our bodies. It’s hard work up front, but sustainable in the long run. This concept of individualized or attuned eating—eating when hungry, stopping when satisfied—plus exercising for the pleasure of it and being emotionally flexible about food is the 5% of dieting that actually works. Kudos to you figuring out what works for you. So when somebody goes high fat/low carb, do you recommend that they eat organic if they can afford it or just go with the conventional foods? In one of my newsletters, I suggested people try to buy organic meat, and I sure got an earful from a former client. What is your opinion about that? This is another huge bone of contention, especially with food producers since this is their livelihood and they see this from a different perspective than we do. Yes, organic is not perfect but I do believe it’s better than conventionally grown food. Since animal fat holds toxins like pesticides, herbicides, hormones and heavy metals, I choose organic animal products (or local products produced by someone that I trust and that treat their animals well). All that being said, even though I’m passionate about trying to eat as organically as possible, I do realize that not everyone can afford eating organic all the time. Do you believe there is a correlation between when this whole low-fat craze started and our epidemic of metabolic disorders that we have now? 100% percent. There are countless conspiracy theories on the subject, but ultimately, the issue was that we replaced fat with carbs, sugar and highly processed food and that’s the cause of the damage. There is an interesting researcher, a dentist and anthropologist named Weston A. Price. He wrote a book called Nutrition and Physical Degeneration. He went to somewhere between 7 to 11 different countries, pre-westernization, to assess their health via stature and dentition. He went back to each of those countries one or two generations, post-westernization, after the introduction of white flour and white sugar. In only two generations, they had cavities, oral crowding requiring orthodontia and their stature decreased markedly. It is fascinating because NPR reported that residents of the United States used to be the tallest in the world and now we’re the 25th in less than 100 years. We are not malnourished from the calorie perspective but from a quality (micronutrient) perspective and it is killing our genes and playing a role in cancer and infertility (to name a few). Everything is tied to our food supply. We’re eating calories devoid of nutrition. Last question. I have clients that started this on January 1st of this year and have been doing this religiously since. A couple of weeks ago, they went on a vacation and went off the diet and ate whatever they wanted. My question is: are there any ramifications for them for doing this or will their bodies snap back into it? It depends on the person. It depends on how extreme of a carb change. If you go from 20 grams to 200 grams and back, you’re going to be sick. Unless you are doing keto as a therapeutic diet for seizures, you can find a rhythm such as five days on one or two days off. Or perhaps you can do one meal off and you then get back on again. There is some flexibility. I am a big proponent of intermittent fasting. Women can only sustain a regular fast for 12-14 hours. Guys can sustain longer at an average of 18 hours. Fasting is the best of both worlds – keto a few hours at night – and more “normal” eating during the day. So there you have it. A lot of information there to digest, but I certainly learned a lot about the keto diet in this interview with Esther.